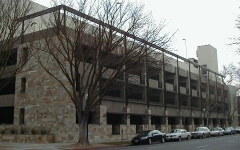 This six-level, 753-space parking structure in downtown Sacramento is an integral part of the Capitol Area East End Complex. 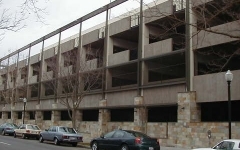 The parking structure occupies an entire downtown block and includes 6,500 SF of retail and commercial space, and primarily serves government employees. 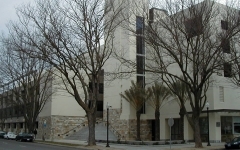 The project used a design-build bridging delivery method in which preliminary design was completed by the State’s architect, Gordon Chong & Partners. 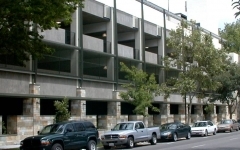 IPD and McCarthy Builders completed the design through contract documents and administered the construction of the garage. As required by the State, the project included green building strategies such as recycled paint, photovoltaics (PV cells) and electric vehicle charging stations.